It may be 10 years since we joined the euro, but the Central Bank of Ireland estimates that over €300m worth of punts are still unclaimed for. The majority of Irish households are likely to possess a long-forgotten jar of old coins and a handful of banknotes. Coins from as recent as the 1980s and 1990s are valued at thousands of euros today. For example, the 1985 copper-colored 20p piece that depicts a horse could be worth at least €10,000 in auction. Similarly, the 1992 10p coin could bring in between €5,000 and €10,000. Both of these coins were only produced in very small quantities, making them rare today. 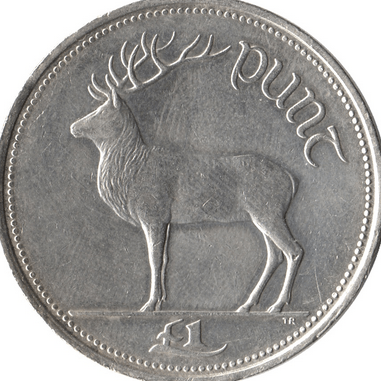 “It’s their very scarcity that makes them so collectable,” says one of Ireland’s foremost coin collectors and numismatic experts, Mike Kelly. “If you have a €500 note with a serial number T — the letter for Ireland — that’s worth about €800,” Kelly, who works in the electronics industry, says. How much could you have hidden in your house back home?